It was 16 degrees and snowing, and the coldest night I would experience while thru-hiking the Appalachian Trail. Bundled in all the layers I had, I zipped into my still fairly-new sleeping bag and tightened the hood. Fast forward to July. I am testing a new tent when the storm of the summer rolls through. The downpour lasts for hours and the tent starts to flood. The tent walls and floor are soaked and heavy drops of water fall onto my now worn-in sleeping bag. On both of these nights I stayed warm and dry and that’s why I love the REI Joule 23. The Joule 23 is currently rated the #2 best women’s sleeping bag by Outdoor Gear Lab, outranked only by the Rab Neutrino which is lighter but also more expensive, and most importantly, not as warm. The Joule is priced at $299 for regular length and is $319 for the long. 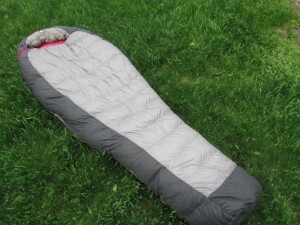 It is my pick for the best women’s 3-season backpacking sleeping bag. The polymer coating on the down protects the feathers in the event that moisture leaks through the bag. When non-coated down gets wet, it shrinks and clumps, leaving nothing to keep you warm. In the past, this has been one of the big benefits of a synthetic fill, as it will not lose its loft when wet. While the coated down will still lose loft when soaked, it will retain more loft when wet or damp than non-coated down. There will be little chance for the down to get wet, however, as this bag is made with a breathable waterproof ripstop nylon. The darker colored material on the sides is more waterproof as it’s the area most likely to touch the sides of a wet tent. There were many times when my tent was wet and even times when the outside of my sleeping bag was covered in moisture. This great design kept the down from getting completely penetrated so I could stay warm and dry, even when my tent flooded. 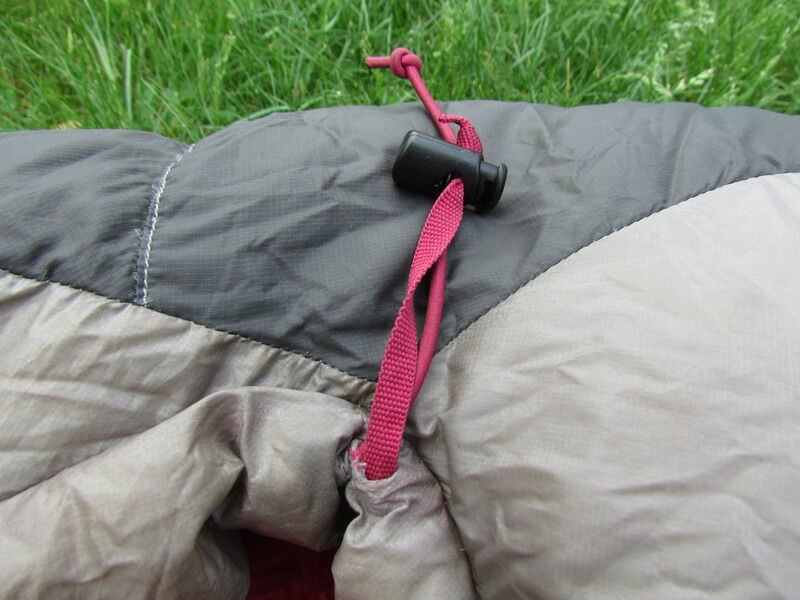 The Joule has a large zipper that opens and closes easily and rarely snags. 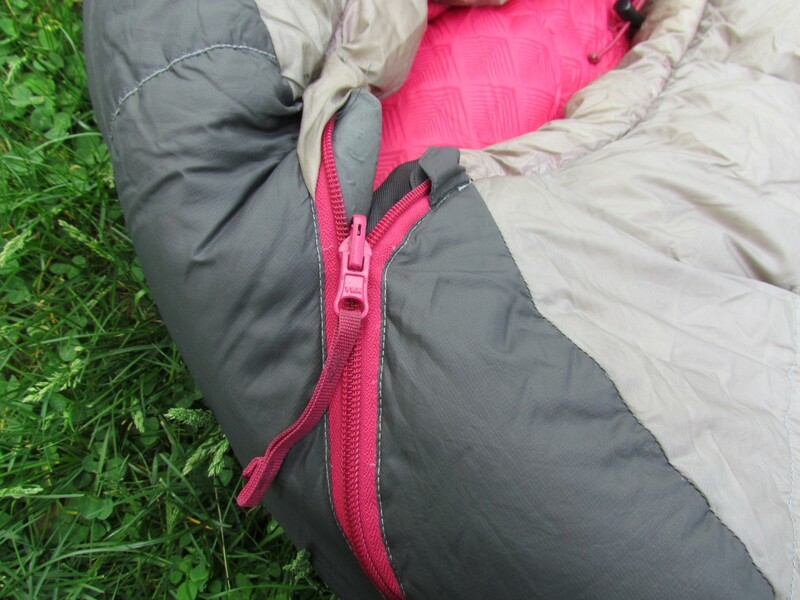 Pull cords made of different material let you know whether you are tightening the top or bottom in the dark. The Joule did an excellent job of keeping me warm in low temps. Because I know that I am a cold sleeper, I paid close attention to the women’s EN comfort rating of 23 degrees. 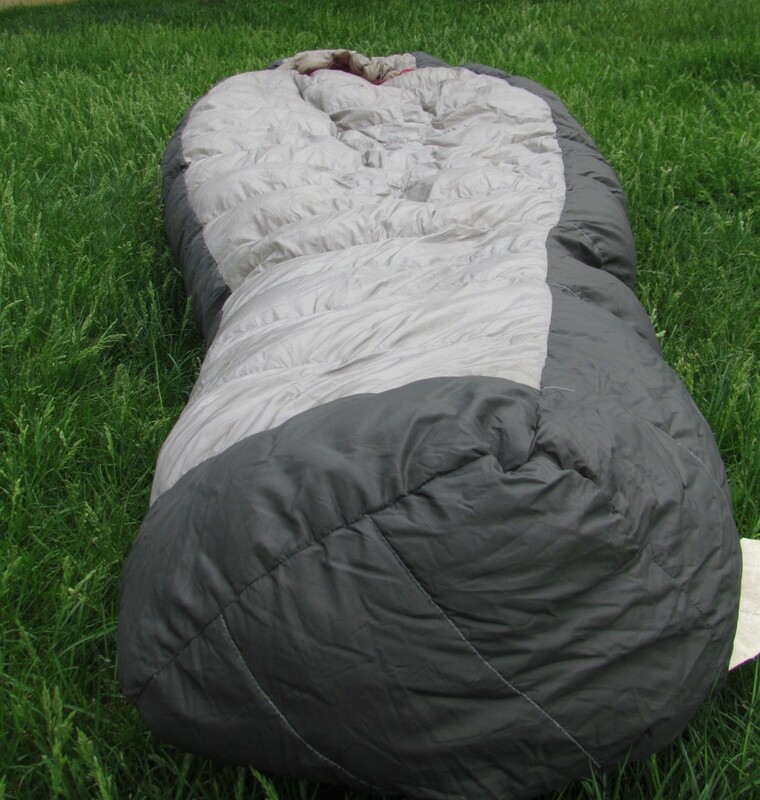 EN is a standard of rating sleeping bags, and the comfort level is what the specified gender will most likely sleep comfortably at. I slept most comfortably in temps in the low 30s, however, with proper layering, I was able to sleep relatively warmly in 16 degrees in the Smokies. Even after a thru hike, the bag has maintained a lot of its loft. The light weight of this bag was one of the major reasons that I ended up purchasing it. I had a very difficult time finding a women’s bag around the 20 degree mark that was trail worthy. At 2 lbs 2oz for the regular length, and only 2 oz more for long, this bag is especially lightweight, especially in this price range. The Joule is able to compress to a very small size. The bag comes with a 15 liter stuff sack, but if you purchase a compression sack, it can get as small as 6 liters. This is one of the big benefits of down as it compresses much smaller than a synthetic insulated bag of a similar temperate rating would. It comes with a large REI storage bag. The 15L stuff sack. With a compression sack, this can be compressed to about half the size you see here. I was very happy with how comfortable I was in this sleeping bag. 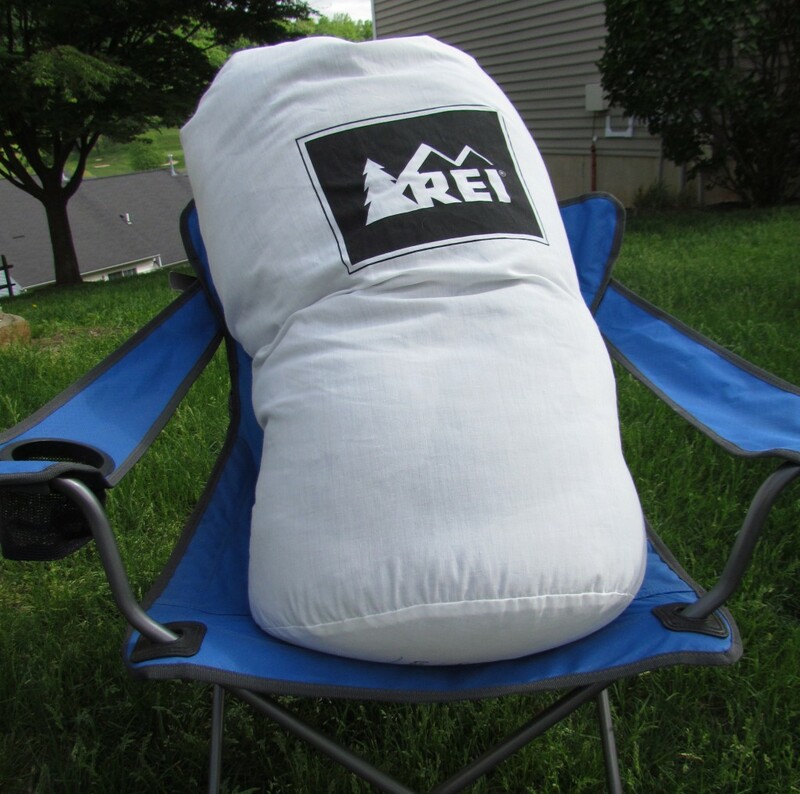 The lightweight puffy insulation and the roomy toe box made this a super cozy place to sleep. 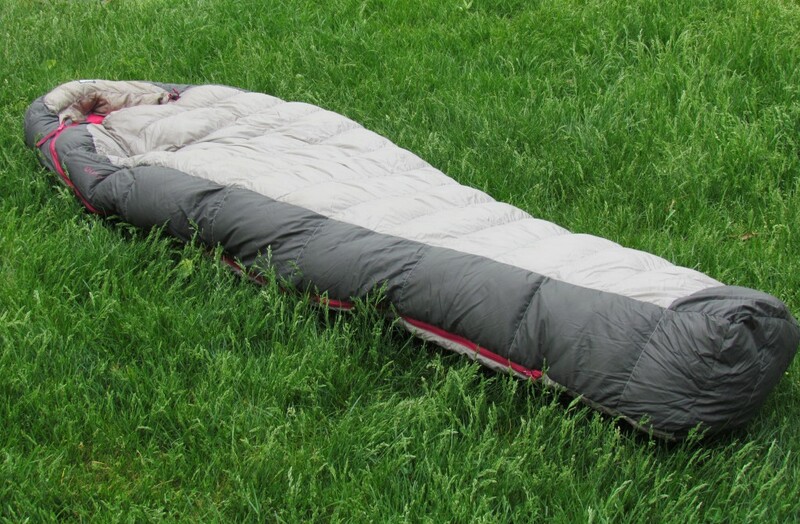 A down sleeping bag such as this one is best combined with a well insulated sleeping pad as the down will compress under your weight. It looks so cozy I just wanna hop in and roll around. 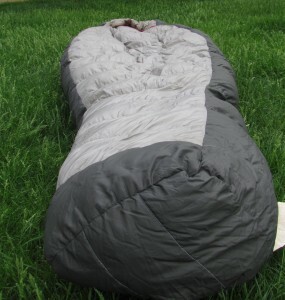 One of the biggest downsides to this sleeping bag is that it doesn’t have a neck-guard. Cold air can easily get through the corners of the hood, even when you cinch it tight around your face, although this was easily remedied by placing a jacket or some other material around my neck. While it comes with a 15L stuff sack, the sack itself is a thin nylon and is not waterproof. I ended up purchasing a more durable waterproof compression sack because I didn’t think that the one it came with could stand up to the rigors of the trail. 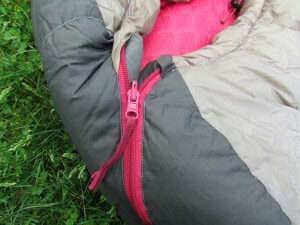 It is also important to note that this newer version of the Joule has no stash pocket. By the end of my hike the bag was still in great condition. It is a few feathers light and I don’t believe I can take it down to 23 degrees as comfortably as before, but it will be an awesome bag for warmer weather trips. The waterproof nylon stayed highly water-resistant, even after giving the bag a good wash halfway to Maine. For further proof of how well this bag held up, all the pictures I took for this post were taken after using the bag for a 6 month thru hike! 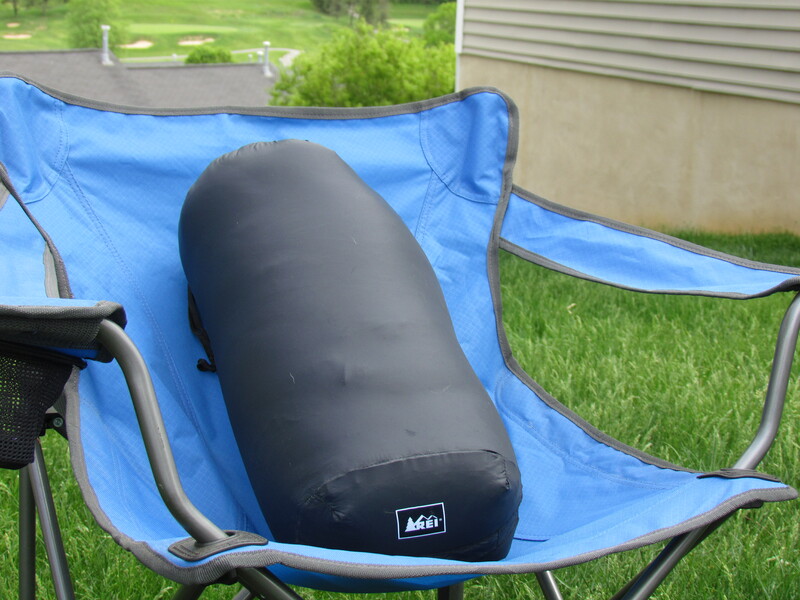 You can see Outdoor Gear Lab’s review of an older version of the Joule here.